The obvious way to rendezvous was to launch off the Moon on a trajectory that directly intercepted the CSM using a single burn of the ascent engine. This was discarded for a range of reasons. 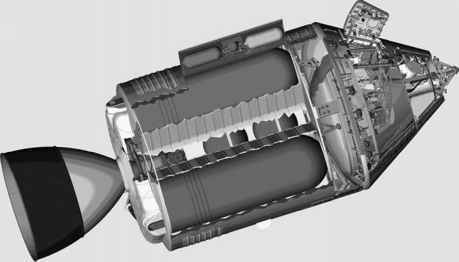 The timing of the launch would require to be extremely accurate if the LM was to intercept a spacecraft passing by at 1.6 kilometres every second and, even with such split second accuracy, engineers knew that the expected variations in the thrust from the ascent engine would cause the LM to miss by gross margins. Additionally, the short duration of the approach gave little time to calculate and make corrections to the trajectory. Furthermore, the closing speed would be higher than the RCS thrusters could be expected to overcome and if the approach was missed, the LM would find itself in an orbit whose perilune was likely to be below the lunar surface - that is, they would rise away, arc back and crash onto the Moon. 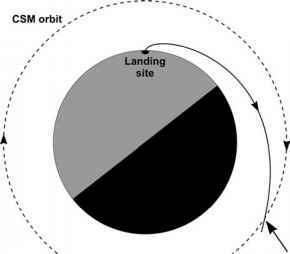 Direct ascent rendezvous was dangerous in many ways and on top of all that, it would be very difficult for the CSM to rescue a stricken LM. Diagram of the direct ascent technique. In addressing these problems, engineers settled on a more elaborate technique that took a step-by-step approach, incrementally bringing the LM towards the CSM in stages that could be analysed and controlled.